Ships today if you order in the next 2 hours 45 minutes. 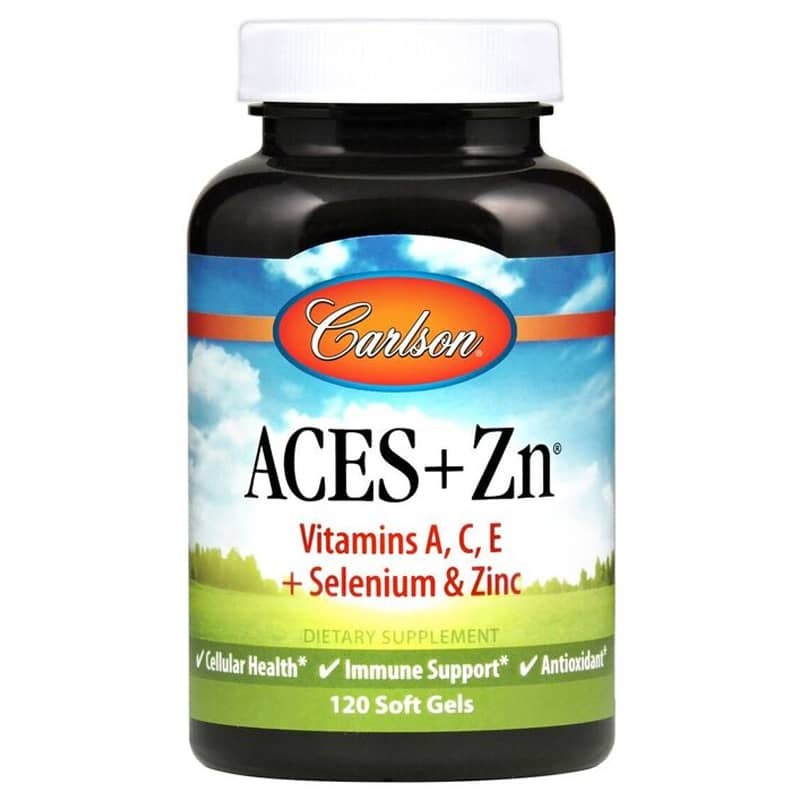 The sources of nutrients in ACES are chosen with care. Beta-carotene (pro-Vitamin A) is derived from tiny plants, D. salina algae, which also supply minor amounts of other carotenoid antioxidants such as alpha carotene, cryptoxanthin, zeaxanthin, and lutein. Calcium ascorbate is a non-acidic form of Vitamin C which is gentle on the stomach. Vitamin E is 100% natural-source, the most biologically active form, from soy. Selenium and Zinc are organically bound to promote assimilation. Other Ingredients: soybean oil, beeswax, soy lecithin, sunflower oil, palm fruit stearin, glyceryl monostearate. Soft gel shell: beef gelatin, glycerin, water, carob. Contains NO: gluten, sugar, preservatives. 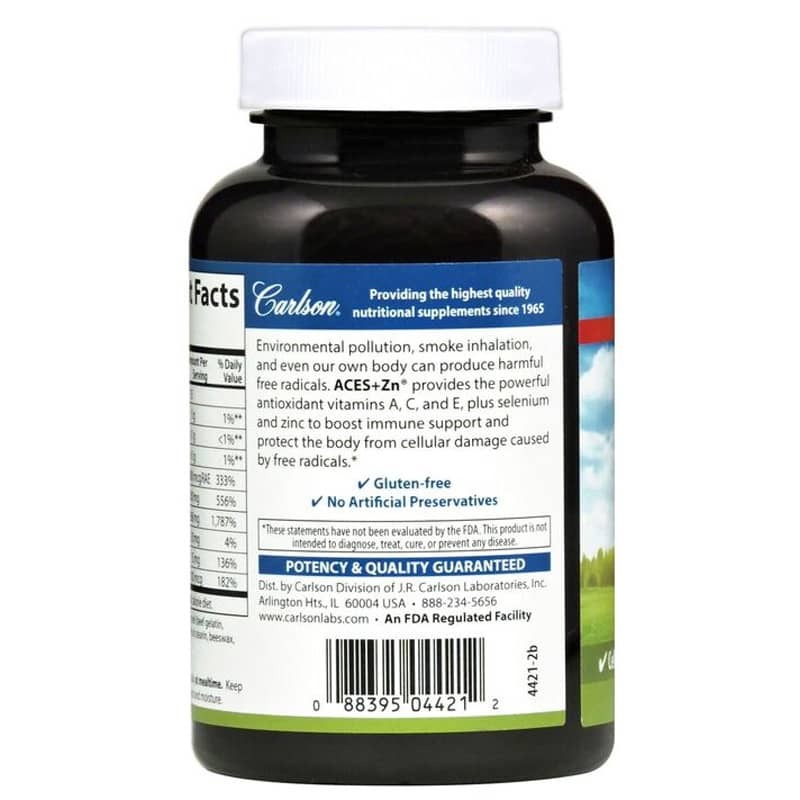 Adults: Take two soft gels daily at mealtime. Keep bottle tightly closed. Store away from heat and moisture.